The bakery is situated off of Parc Avenue in the Mile End neighbourhood bordering the affluent and very French Outremont quartier. Originally, Mile End was a working class and Jewish part of town made famous by Montréal writer Mordecai Richler, whose novel Barney’s Version most recently was made into a movie starring Dustin Hoffman in 2010. Richler wrote about the Jewish life in Montréal, often based on the streets of the Mile End neighbourhood where he called home. Today, Mile End is central for the anglophone hipster and artist community — and I love it for that despite the abundance of man buns. However, the area still retains a large Jewish population, and in particular the Orthodox Jewish community. 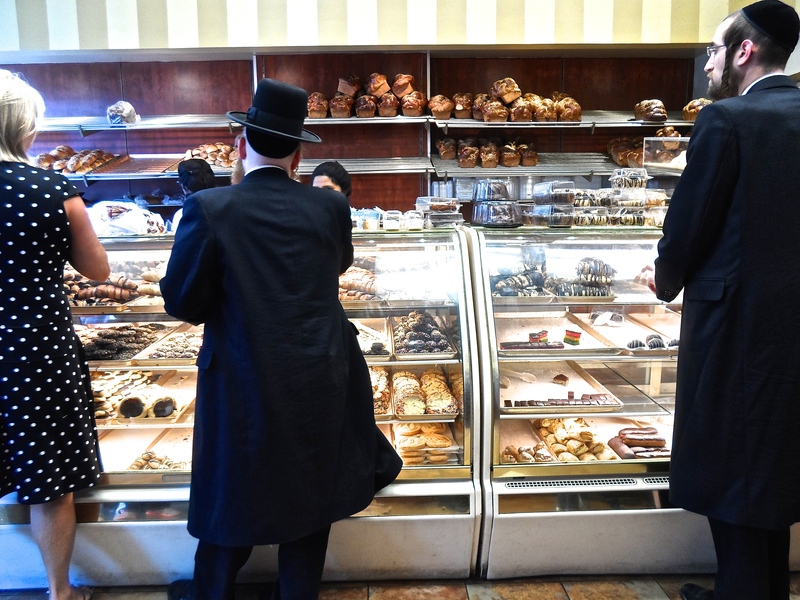 Walking around the area on any given day brings sight of the interesting mix of habitants: recycled thread-wearing creative types walking amongst Orthodox Jewish men wearing distinctive traditional garments such as the furry shtreimel hat during Shabbat. 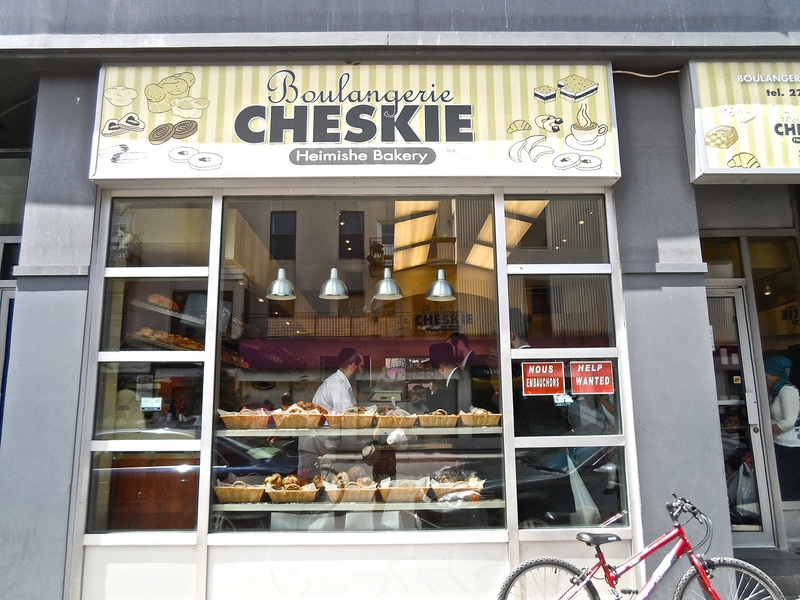 Hence, the Hasidic-run Boulangerie Cheskie fits right in the neighbourhood. 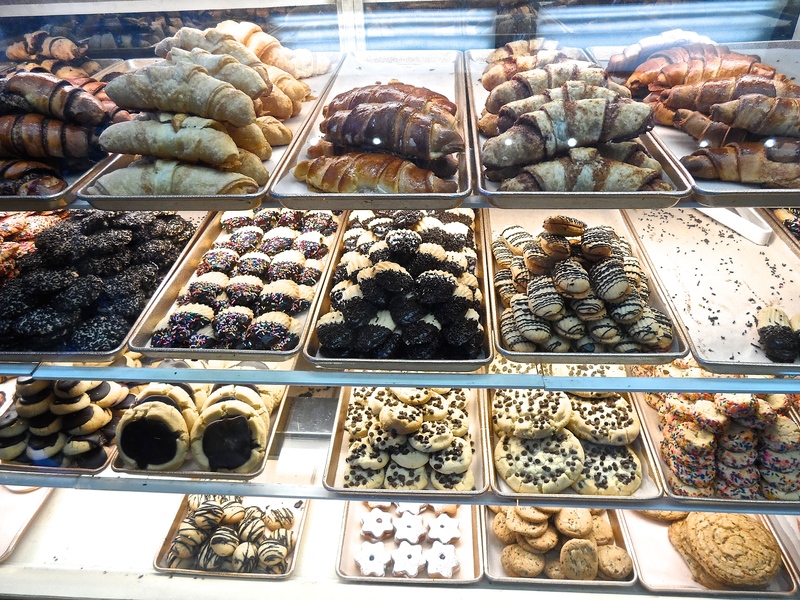 Its offerings are authentic Jewish baked goods and kosher to boot, if that is a concern. But its customers are a diverse crowd, just like the demographics of the Mile End. As a Korean-Canadian non-Jew, I don’t follow any dietary laws (except maybe, hands off that second cookie!) and I recently was on my way to a dinner party empty handed. So I brought along a box of sweet deliciousness to win over the host whom I didn’t know as how else would I win over a new crowd? 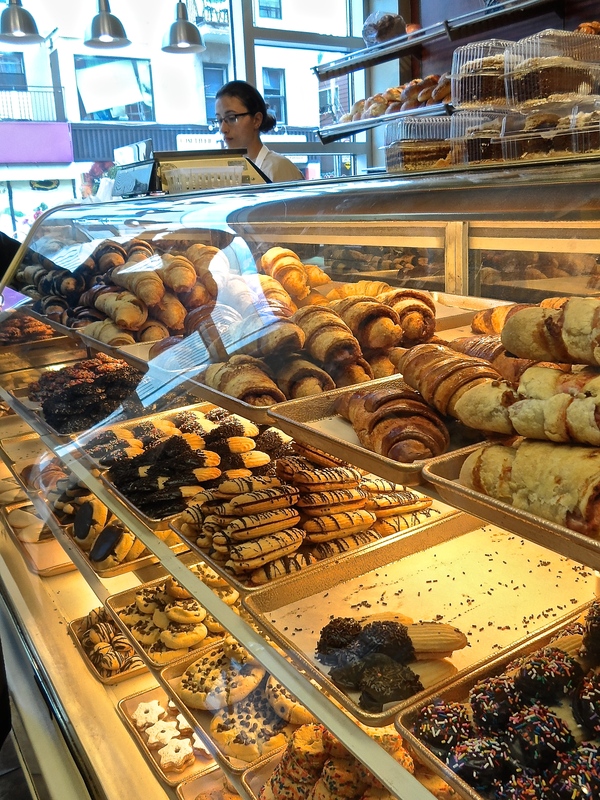 When needing courage, bring pastries I say. And make it babka, the sweet yeast bread of Eastern European origin, which is fashioned into a loaf bread for the Jewish version and filled with cinnamon. I’ve tried the Romanian version, which is served at holidays, but Cheskie’s rendition is amazing: dense, moist, and heavenly. Not too sweet, which is exactly how I like it. I loved their croissants too, which is a variation from the original French croissants you will find in the city as they are glazed and less flaky, but still delicious. There is a list of items to try from Cheskie’s which would require embracing a curvier figure and a lengthy time period to get through them all. But I’ll get there — except for the weight gain, I hope.